However, in browsers like Firefox, it would usually be in the help section, under separate menu function. Well, say goodbye to that as Firefox 4 now uses the exact same About window to display updates. You’re not even trying, Mozilla. 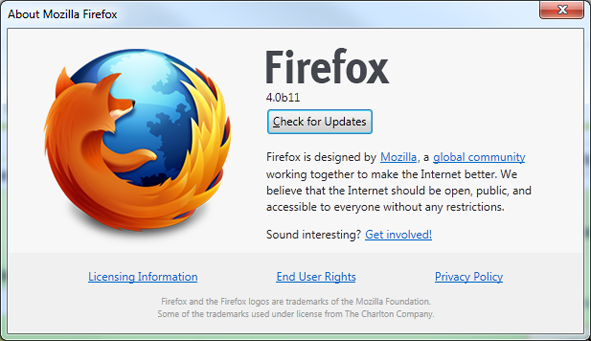 in firefox beta/minefield, using About Firefox automatically checks for updates…..
Sure looks like they’re trying to me. This is so sad I remember when FireFox was on top and useful to use now its nothing but a joke. It will never get the hype and be as good as it was in the old days. Safari needs an update soon or they going to end up just like Firefox. So true, and I am huge Firefox fan, and I think they are coping way too many stuff from Chrome. I consider it a good thing that browsers are tending to have similar user interfaces, so it would make the transitions of the novel users easier. Isn’t it is amazing how a minority of “inspired” (OK, copied) features cause more buzz than a long list of awesome improvements (http://www.mozilla.com/en-US/firefox/4.0b11/releasenotes/)? I bet working on Firefox is a thankless job. IMHO, it is a good thing that projects share best practices. Didn’t Mozilla suggest such a method not too long ago? They finally implemented it, I see. 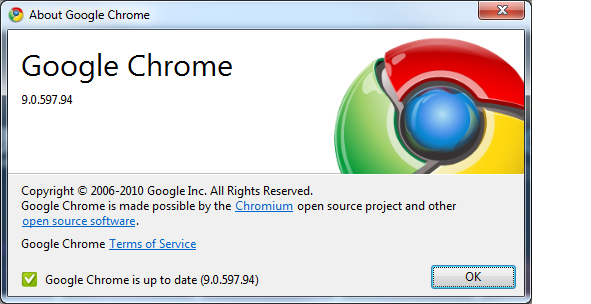 So… you’re saying Chrome is doing it wrong? Otherwise, what’s wrong with adopting a good idea? What, should Mozilla stick update notifications in the Downloads window or something? There are probably more exciting things to report.